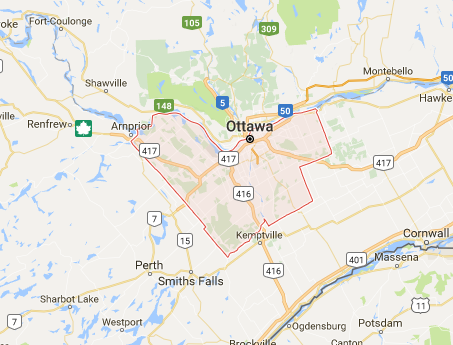 When you need garage door torsion spring service in Ottawa, ON turn to a local service provider you can trust. At Ottawa Garage Doors we offer exceptional repair and replacement service safely, efficiently, and affordably. Our highly trained professionals are experts on torsion and extension springs. These are the two most commonly used springs in garages today. We are committed to providing memorable service that makes you a long term friend and customer. Our specialists service these components with strict attention to detail because safety is a number one priority. 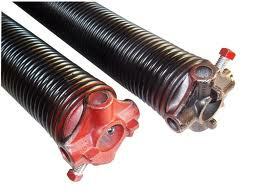 We always suggest you enlist professionals to provide garage door torsion spring repair service. Doors used on garages can be very heavy and these components are used to balance them properly during the opening and closing process. The torsion type is mounted above the door; whereas the extension products come in a pair and are installed on each side of the door. These products must be wound very tight to establish the tension necessary to accomplish the heavy duty task. Garage Doors Ottawa offers quality torsion and extension springs for garage doors. There are situations when a minor garage door torsion spring adjustment will resolve the problem, but when these components are beyond repair; garage door torsion spring replacement is the only solution. Fortunately for you we offer the best prices on springs and our repair and replacement cost is unequaled in the community. Our professionals will also replace garage door extension springs at a great price. At Ottawa Garage Doors we offer a bundle of outstanding services for garage door springs for less than the competition. We keep the costs down low, but the quality extremely high. Our friendly service approach and the fantastic results we provide day in and day out make us the first choice for spring service and other garage door options in our area. Get in contact with our team today.